In honor of Gundam Zeta’s 30th Anniversary, Bandai is releasing a version 2.0 of the amazing MG 1/100 Hyaku Shiki. The original came out in March of 2001, and then re-released with the Ballute system in fall of 2005. No full details on the finish that the kit will receive, it being matte / muted gold, or it being fully gold plated. The price of the kit (7200¥ / $60 / €54 / 39£) somewhat dictates that it might be the latter. 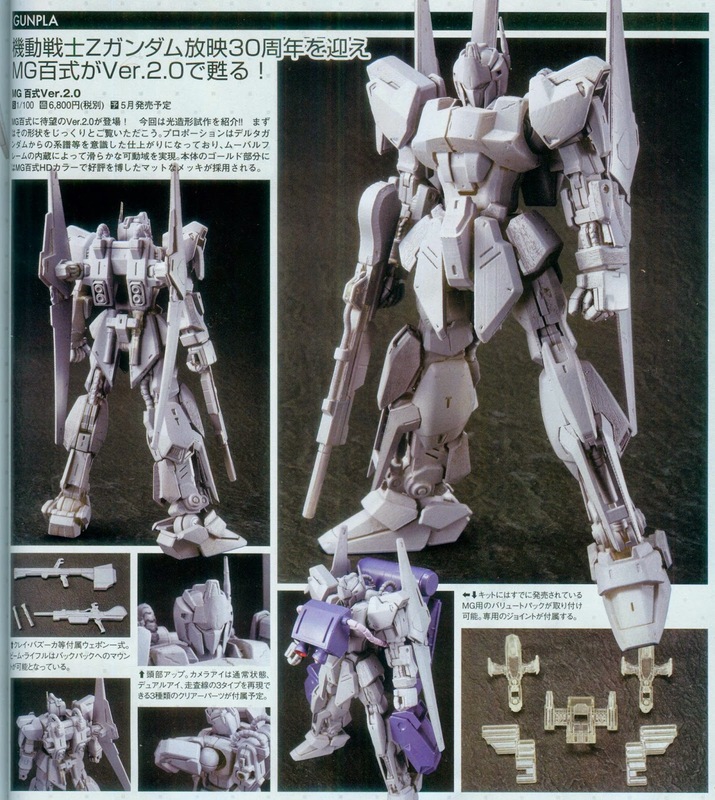 If they do go with the chromed finish, I do hope they undergate all the armor parts to alleviate all the horrendous nub marks that plagued the MG 1/100 Unicorn Phenex. Is was understand for Unicorn because that mold already existed…this is a brand new mold from what I see with the new body details and new features. Bandai also completely remade how the arms connect to the body, giving them more movement without looking awkward, or having huge gaps between the shoulder and the upper body which is a definite welcome improvement. Lets hope they transfer this knowledge to other kits. Also new transformation for the flight mode as well as the wings and how they connect have been completely redesigned for more movement and flexibility. Another great addition is from what it looks like they are including a redesigned ballute pack which is a welcome addition and not relegated to Premium Bandai, or a magazine addition. 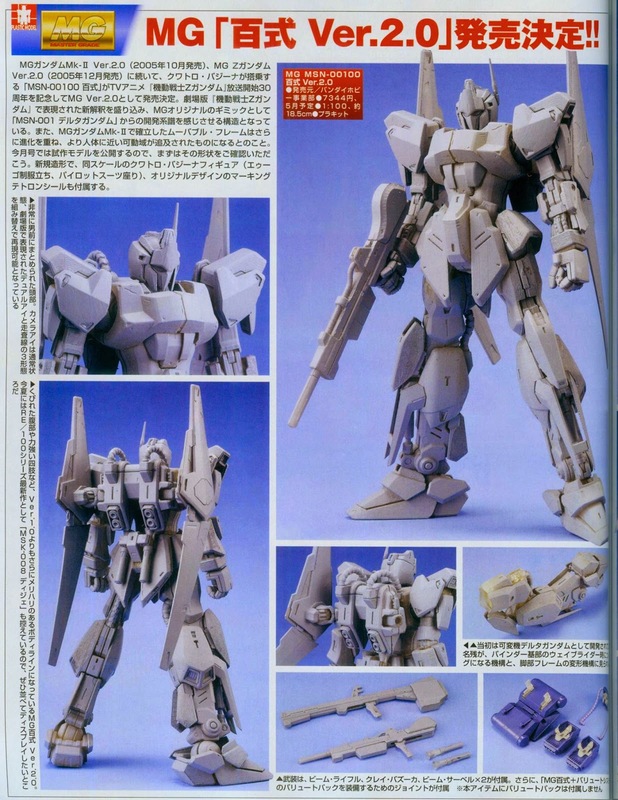 The release date for this kit is May 2015 and it looks really amazing and I cannot wait to check out this new version. We will be doing an unboxing and review of this kit once it releases! Next story SDBF Star Winning Gundam Released!